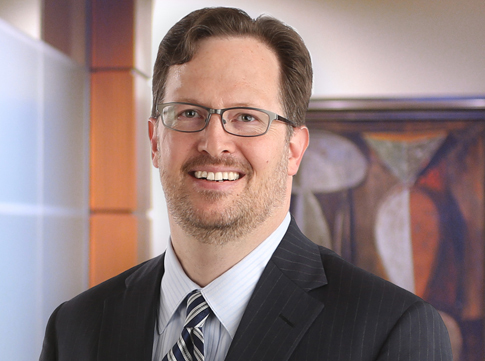 Michael Sampson, partner in Maslon's Estate Planning Group, has authored an article on Minnesota's new Uniform Trust Code for the June/July issue of Footnote magazine, a member publication for the Minnesota Society of Certified Public Accountants. The article, titled "Minnesota's new Trust Code: Bringing Minnesota trust law into the 21st century," includes a discussion of the history and benefits of the new trust code, along with an examination of directed trusts—a significant new provision for Minnesota practitioners. Michael's legal practice focuses on high-end estate and tax planning, estate and trust administration, charitable planning, and business succession planning. He helps his clients focus on what it is they really want to accomplish with their wealth. After assisting his clients in identifying their specific wealth planning goals, Michael works with them and their other professional advisors to develop and implement wealth transfer strategies that are consistent not only with their goals, but also with their cash flow needs and tolerance for risk. To read the full article, go to: "Minnesota's new Trust Code: Bringing Minnesota trust law into the 21st century."